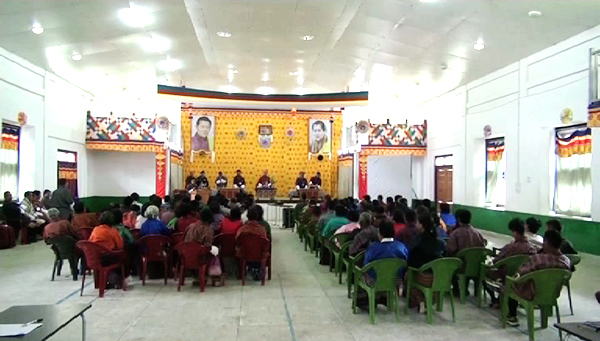 The people of Trashi Yangtse are optimistic after the party representatives pledged to speed up the works to commission the Kholongchhu Hydro Energy Limited (KHEL). At the recent common forums, the representatives of the dzongkhag’s two constituencies highlighted the benefits of the project and promised to start it at the earliest if their party gets to form the next government. The 600-megawatt Kholongchhu Project started in 2015. So far, only about 12 per cent of the works are complete, which includes construction of power lines, a 30-kilometre access road and two bridges connecting various identified sites of the project. “Whoever gets elected and comes to power, our only hope is that they complete the project as soon as possible. The project will be a source of income for us as we will get employment opportunities,” Doshola, from Khamdang, said. “If what they pledged materializes then it will benefit the people of Boomdeling. It will provide us with employment opportunities and we will also have a ready market for our farm products,” Gyeden Manmo, from Boomdeling, said. The previous government, during the Meet the Press Session earlier in March, said they could not go ahead with the main works of the project as the signing of the concession agreement with the Indian government had to be withheld. Some provisions of the guidelines for cross-border electricity trading the Indian government released towards the end of 2016 had to be resolved. The project is expected to be complete in 2023.